George Bush Presidential Seal Pen Flashlight. 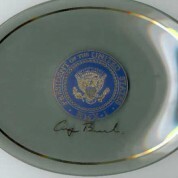 This is a great rare souvenir from the Bush administration made famous by Bush’s “Thousand points of light speech. 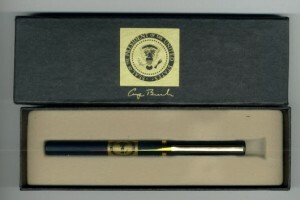 This is a small pen flashlight with the Presidential Seal and George Bush’s signature on it in gold. 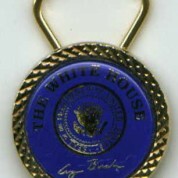 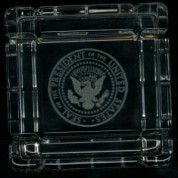 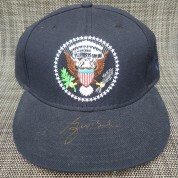 It comes with its original presentation box also bearing The Presidential Seal and Bush’s signature in gold.